Our brand new Adult Stretch & Flex class is designed to improve your overall flexibility and teach you safe and easy ways to stretch! Stretching and flexibility helps to improve results and recovery from injuries and workouts, and gives fantastic muscle tone. A great class to complement your other dance classes, or to get you confident enough to start one. Come along and enjoy a challenge – see how flexible you can get! 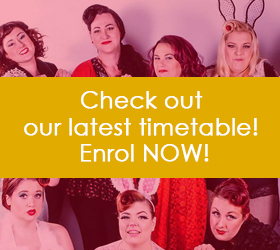 Enrol today or for more information please fill out the enquiry form or email info@ladyvelvetcabaret.com.au. Click here to view our timetable, prices and term dates. Cost depends on the length of your class, and the length of the term. For our full costings, yearly term planner, as well as information about casual lessons or multiple class passes, visit our timetable page! I’ve never attended a class like this before – will I be able to do this? Of course! Our open and beginner courses are designed for complete ADULT beginners who have either never learned before, or are perhaps coming back after an extended break from the style. Check the timetable to see if a more advanced class is available for you. If you wish to perform, you can participate in a spectacular showcase at the end of each year. Can I trial a class first? 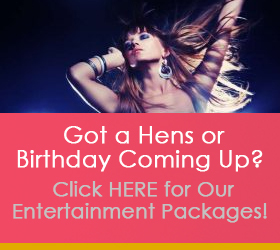 Your first Lady Velvet Cabaret trial class is $15 so you can try before you enrol. Any subsequent trials (including trials of other styles) will be billed at the $25 Casual rate. If you are looking to attend on a more casual basis, you should consider our Multiple Class Pass. The term has already started, can I still join? Yes! We take enrolments at any time of year (check out our timetable here). Fill out an enrolment form and we will be in touch to confirm your payment and book you in for the remainder of the term! No matter what your age, weight, or fitness level, you are welcome in this class, and our Stretch & Flex students are of all shapes, sizes and ages. Our instructor is not only friendly and welcoming, but experienced and qualified, and will teach you the basics at various paces so you can work at a level that suits you. Your safety and comfort is important. How long do classes go for? Each class runs for 45 minutes each week. What should I wear/bring to each class? A form-fitting top, leggings, or 3/4 length pants. Bare feet or socks are fine for this class. We can provide foam rollers, therobands, etc, however you are also welcome to bring your own. Please bring a water bottle, a sweat towel, and a yoga mat – you can hire one from reception for $2.00. Will I get a discount if I enrol in other classes? Yes! Enrol in two courses with us and you’ll receive 5% off your class fees. Enrol in three courses and you’ll receive 7% off your class fees. Enrol in four courses and you’ll receive 8% off plus your fifth course will be free! What if I want to attend casually? If you cannot commit to attending regularly, you should consider our Multiple Class Pass. Once your $30 Annual Registration fee has been paid, you can purchase either a 5 Class Pass for $110 or a 10 Class Pass for $190. Your Class Pass will allow you to enter any of our ongoing courses (not 6 week or one day workshops), provided they are not full. Class Pass holders will have to register at reception each session to have their pass stamped. If you’re interested in purchasing a Class Pass, contact us today! Burlesque meets Pinup for one day at Lady Velvet Cabaret! 3 Reasons why Burlesque & Tap Dance go Hand in Hand, in TAP DAT! Top 5 Tips to help you Stretch to Splits! Lady Velvet Cabaret presents… PARLEZ-VOUS CABARET! LOCATION: The WA Performance School studios, 3 Price Street Subiaco WA 6008.